Dancing with Fire: A Mindful Way to Loving Relationships (Wheaton, IL: Quest Books, June 2013). The Authentic Heart: An Eightfold Path to Midlife Love (New York: John Wiley & Sons, 2001). Love & Betrayal: Broken Trust in Intimate Relationships (New York: Ballantine Books, 1994). 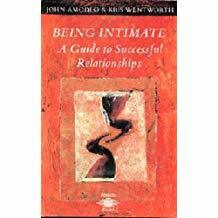 Being Intimate -- A Guide to Successful Relationships , (London: Penguin Books, 1986 (with K. Wentworth). Co-authored chapter with Annmarie Early, “Integrating Focusing into Couple Therapy, in Theory and Practice of Focusing-Oriented Psychotherapy: Beyond the Talking Cure, edited by Greg Madison (London: Jessica Kingsley Publishers, 2014). Chapter co-authored with Susan Johnson in The Emotionally Focused Casebook. Editors: James. L. Furrow, Susan M. Johnson, Brent A. Bradley (New York: Routledge, 2011). Chapters contributed to Bridges, Not Walls, J. Stewart, ed. (Garden City, New York: McGraw Hill, 1988). "Native American Healing" with S. Newhouse, The New Holistic Health Handbook (Lexington, MA: The Stephen Greene Press, 1985). “A Focusing-Oriented Approach to Couples Therapy,” Journal of Person-Centered and Experiential Psychotherapies, Vol, 6, No 3. 2007. “Children Feel the Pain of Parents’ Betrayal,” (with Rikki Robbins), Chicago Tribune, Sept 13, 1998. “Shame, Self-Betrayal, and Focusing,” Bio-Spirituality, Summer Issue, 1994. “Shame and Focusing,” The Focusing Folio, September. 1993. "Pitfalls to Deeper Love and Intimacy,” Synergy, October, 1991. "Working with Anger," New Realities , March/April. 1987. "Focusing Applied to a Case of Disorientation in Meditation," Journal of Transpersonal Psychology, Vol. 13, No. 2, 1981. Assoc. for Transpersonal Psychology Winter Newsletter, 1983, "Report on Open Ground Conference: Existential and Buddhist Approaches to Psychotherapy." "Love and Desire," Yoga Journal, Jan/Feb. 1983. "Focusing: A Western Complement to Meditation," Yoga Journal, March/April, 1982. “Self-Discovery and Hatha Yoga," in American Yoga, Grove Press, New York. "Getting Clear on Relationships," Yoga Journal, March/April, 1981. "Holistic Health Gaining Recognition," Lifestyle Magazine , January. 1981. "John Amodeo interviews Yogi Bhajan," Yoga Journal , Jan/Feb. 1980. "The Developing Political Awareness in the Growth Movement," Yoga Journal , July/Aug., 1977. “Conscious Evolution," Yoga Journal , May/June, 1977. "Spiritual Practice and the Death of Self-Image," Yoga Journal , Jan/Feb.. 1977. Also, quoted or interviewed by publications that include: San Jose Mercury News, Rocky Mountain News. Dallas Morning News, Toronto Sun, The Press Democrat, Marin Independent Journal, Sonoma West Times & News. The Bohemian, The San Mateo Times, Cosmopolitan, Complete Woman, M.E.N. Magazine, Prime Health & Fitness, Synergy, and Psychologies Magazine in the UK.